Un lugar de encuentro en Santa Marta donde múltiples voces dialogamos sobre nuestras raíces culturales para reconocernos en el presente. The building which functioned in the Spanish colonial era as the Customs House (Casa de la Aduana) for the port of Santa Marta is today a museum (a branch of Bogotá's famous Museo del Orocontaining objects made of gold, pottery and stone by the region's inhabitants before the time of Columbus. This house also lets you explore stories of the past and present from this corner of Colombia's Caribbean region. 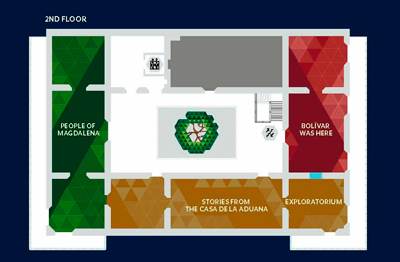 In four thematic galleries, indeed, the Museo del Oro Tairona - Casa de la Aduana invites you to reflect on and talk about the lives and stories of people from the Sierra Nevada de Santa Marta and Magdalena province over the last 2,000 years. The Pre-Hispanic societies gallery describes the societies that inhabited the Sierra Nevada during the Nahuange (200 to 900 A.D.) and Tairona (900 to 1600 A.D.) Periods: their pottery and their metalwork, the way they lived and how they were buried, their ceremonies and rituals, as revealed by archaeological research. 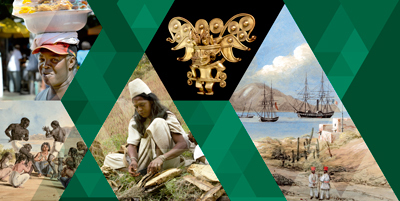 The People of Magdalena gallery is a journey through present-day Magdalena province and its people. The visitor has an encounter with the Kogui, Wiwa, Wíntukua and Kankuamo indigenous groups of the Sierra Nevada, with the Ettes of the Ariguaní grasslands, and with the river and sea fishermen. It exalts the varied facets of life in Santa Marta, extols the Caiman Man festival in Plato and its Ciénaga Caiman counterpart, and revels in the flavours and wisdom of our cultural diversity. In the Stories from the Casa de la Aduana gallery, archaeological digs and searches through historical archives have enabled the biography of this house and aspects of the lives of all those people who have occupied it over the last 300 years to be unearthed. The gallery tells of the foundation of the city, of battles and pirates, of ‘castes’ and social customs, and of the recent times of the port, the railway, bananas, and tourism. Bolívar was hereis the gallery devoted to Simón Bolivar, the Liberator of six nations, who died in Santa Marta in 1830 and a vigil was kept over him on the second floor of this house. A chronology traces his triumphs and his defeats, his loves and his disenchantments, while numerous voices bring his memory to life. 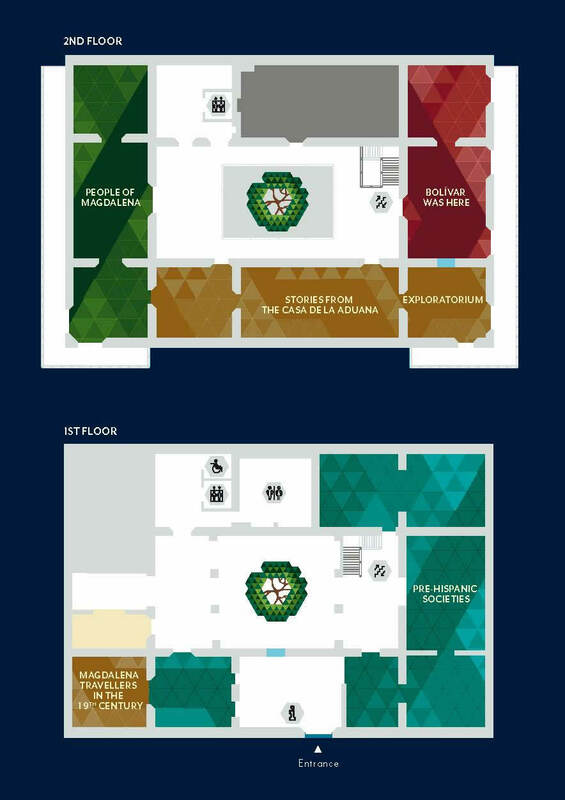 Click here to view the Museum's Map, floor by floor, in higher quality. 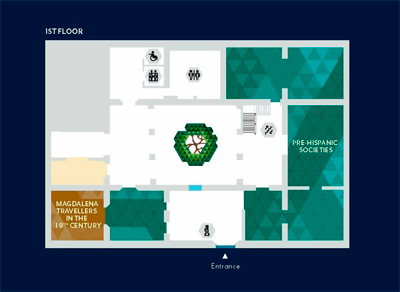 ¿Did we mention that the entrance is free and the exhibition is bilingual? 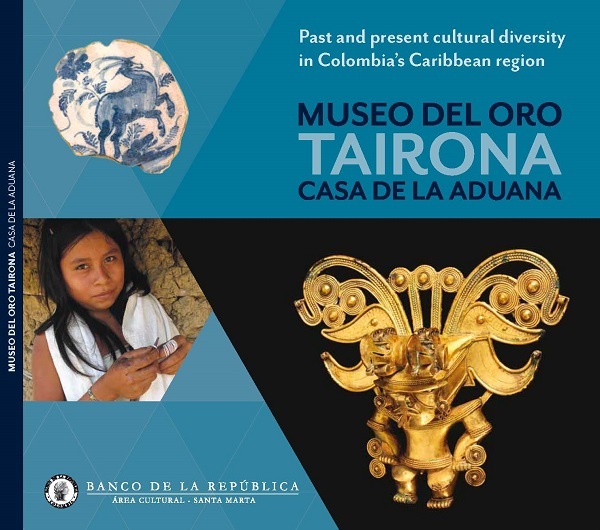 Visit the Tairona Gold Museum - Casa de la Aduana when you arrive in Santa Marta, so you will be able to understand and enjoy the city and the region better. Then come back before you leave, because by recognising in the museum what you have seen on your trip, the magic of Colombia, a country rich in cultural diversity, will become engraved in your memory. The permanent exhibition is fully bilingual (Spanish + English). Open Tuesday to Saturday: 9 a.m. to 5 p.m.
Sundays and Public Holidays: 10 a.m. to 3 p.m.
Closed on Mondays, including public holiday Mondays. Gift Shop. Ask for the English catalogue of the museum. Horarios: Mar - Sab 9:00 a.m. a 5:00 p.m.
Dom: 10:00 a.m a 3:00 p.m. Cerrado todos los lunes, inclusive los lunes festivos. Dirección: Carrera 2 con calle 14. Parque Simón Bolivar.